We are Burlington’s original 3 on 3 hockey league. We created this league to enhance players development at all ages and skill levels. The smaller ice surface helps create more speed, intensity, quick decision making skills and the players ability to play in traffic. 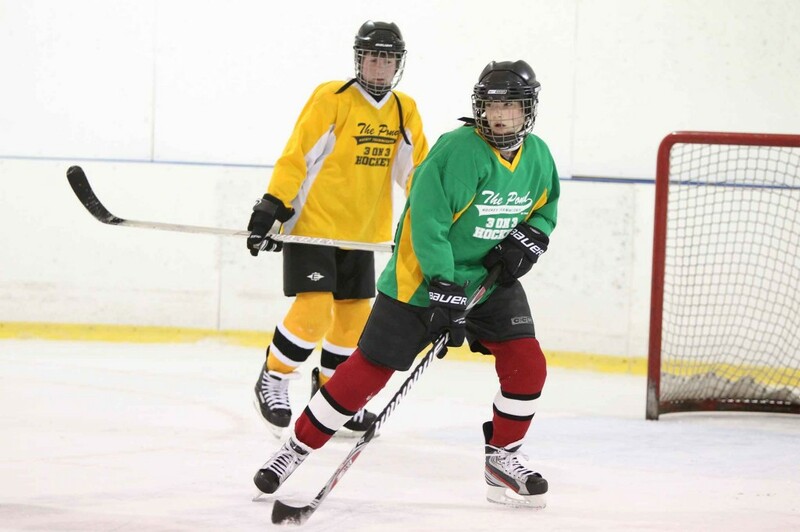 Our 3 on 3 league is an exciting and FUN experience for players of all ages and skill levels. Coaching duties (If you choose to coach): All off-ice coaching; manage bench/ lines & communicate to parents. Goalies: NEW* Goalies play for $99 +HST. Goalies MUST be a full time goalie and have experience in net. Friend Requests: ONLY ONE friend request will be accepted and must be reciprocal requests by all players involved at the time of registration. Requests cannot be emailed into the office. Friend requests are not guaranteed. 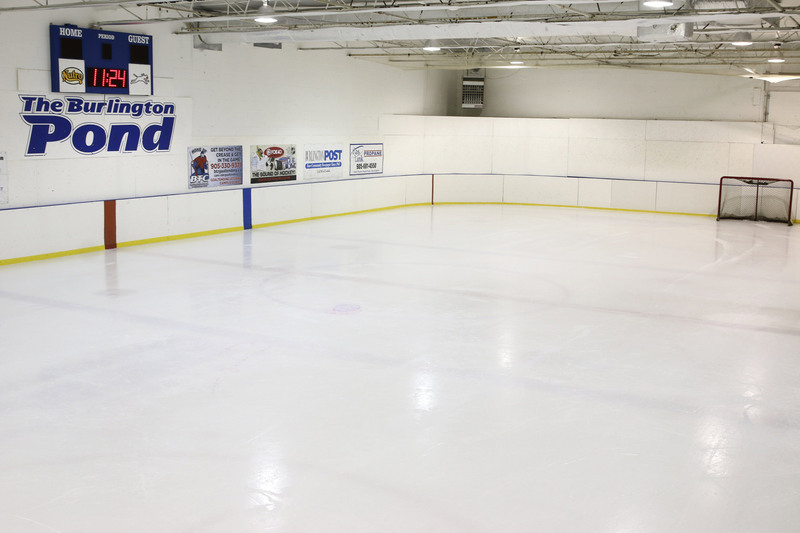 If teams are off balance, The Burlington Pond has the right to move players. Major Novice/Minor Atom (HL Players) We have expanded to 6 teams! Co-Ed League Girls & Boys Welcomed! 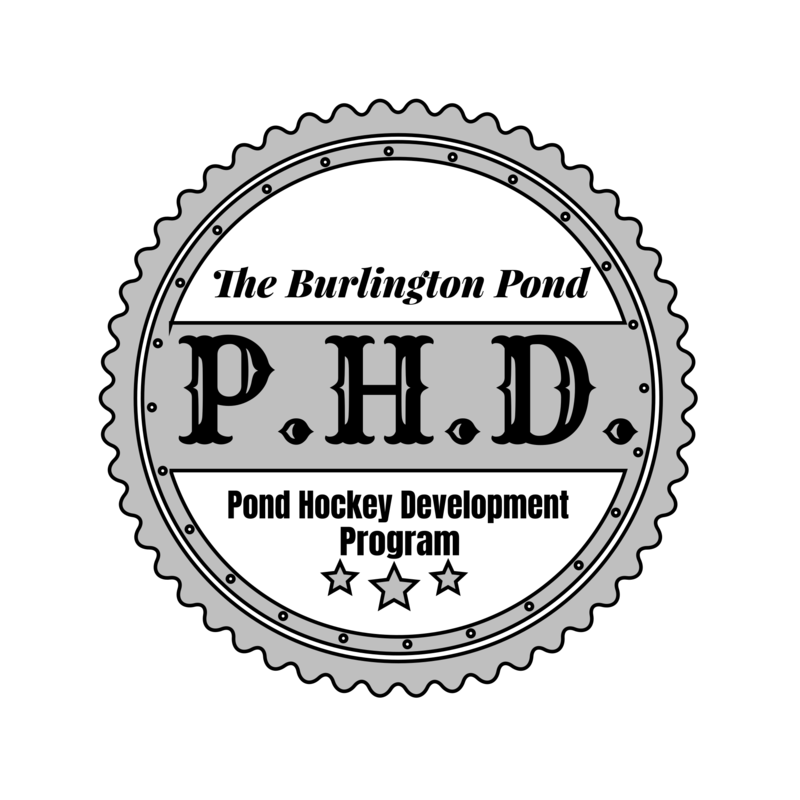 Our PHD program is for families looking for a better hockey IP experience. 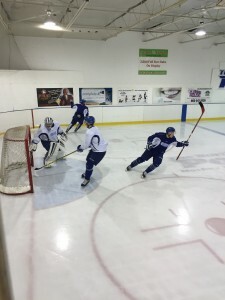 We will train and correct players to instill proper hockey fundamentals. Start your child off on the right foot. 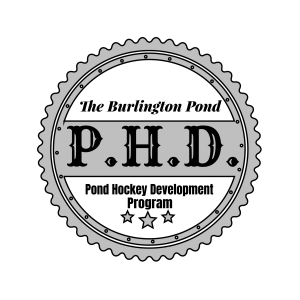 Our PHD is a great supplement/alternative to Hockey Canada IP programs. 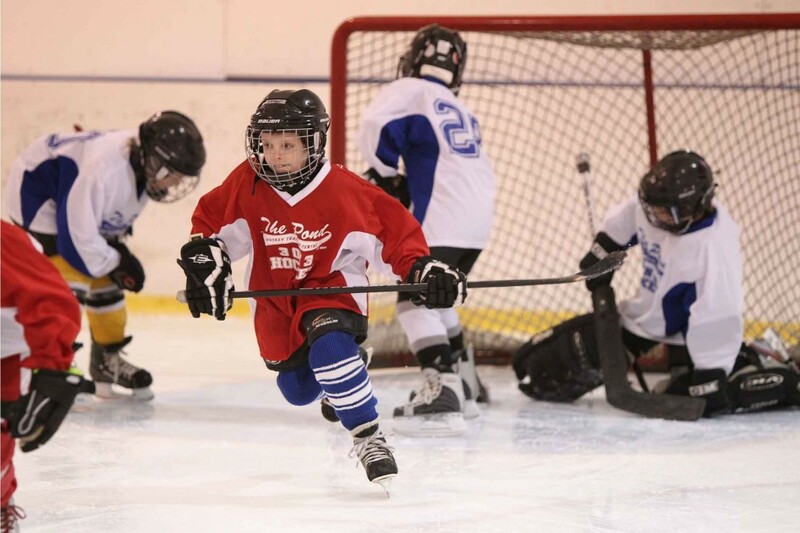 Pond Certified Coaches will offer skills sessions and create competitive game day line ups. Players will develop with our Pond Certified Coaches; Players will receive equal ice times and positions, Forward/Defense. All players will rotate in the goalie position. No full time goalies. No Friend requests. Teams will be made after the coaches have had time to evaluate all players. Our 3 on 3 Leagues are based around fun and development. Our league suites those players who ski, play other sports or school sports. If you are looking for a low pressure, fun oriented one day a week hockey then this is for you! Goalies: Goalies play for $99 +HST. Goalies MUST be a full time goalie and have experience in net. 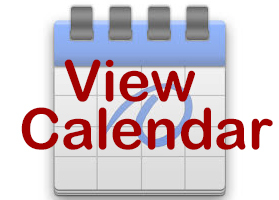 If you are wanting to coach your child’s team, please click the “Parent Coach with Player” option on the pull down tab below. If you are registering as a goalie, you must provide your own goalie equipment. If we do not get full time goalies registered players will rotate in the goalie position. 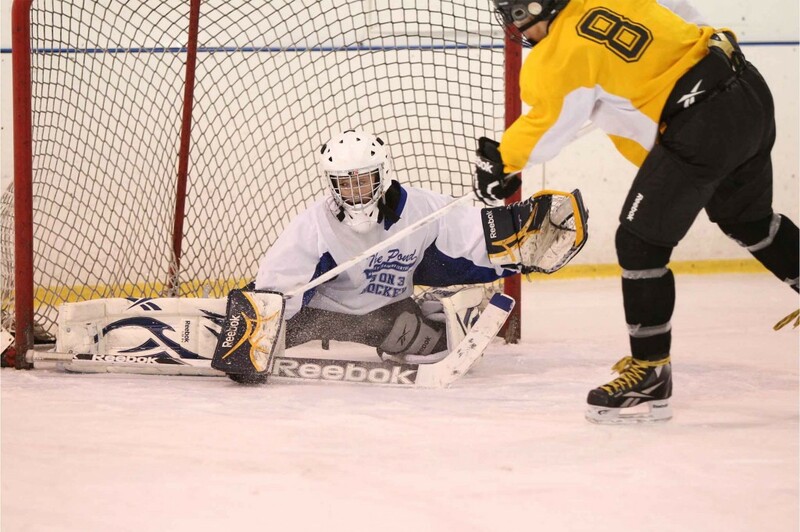 If you are registering as a goalie, you must provide your own goalie equipment.